Edgar Gonzalez may not be playing anymore, but he’s still spending most of his time on baseball diamonds. 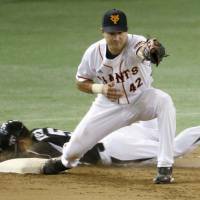 The former Yomiuri Giants infielder is currently a scout for the Central League club, but he might be even more excited about the other new role he’s picked up since playing his last game in 2014 for the Iowa Cubs. Gonzalez has been making the transition into managing and over the past year has already skippered both Mexican Pacific League club Aguilas de Mexicali and the Mexican national team. He’ll also be in the dugout for Mexico during the 2017 World Baseball Classic. Gonzalez, 37, got into managing during winter ball last year, leading Mexicali to the first-half title. The club finished 38-29 overall, a half-game behind first-place Yaquis de Obregon, and Gonzalez was named manager of the year. In March, he took the reigns of the national team for one of the WBC qualifying tournaments. With Gonzalez at the helm, the Mexican team, which included Gonzalez’s brother, Los Angeles Dodgers first baseman Adrian, won three games to earn a spot in next year’s main tournament. “I love managing,” Gonzalez told The Japan Times at Tokyo Dome last week. “I get the same adrenaline rush as I did when I was playing. There’s a lot more to think about. The Mexicans had a five-time MLB All-Star in Adrian Gonzalez and a 13-year MLB veteran in pitcher Oliver Perez on their roster for the qualifiers. They hope to field an even better squad in 2017. Gonzalez was in Japan as part of his job with the Giants, and spending several days at Tokyo Dome was a homecoming of sorts. Gonzalez played for the Giants in 2010 and returned to the team as a midseason pickup in 2012. He hit 16 home runs and drove in 63 runs in 157 games for Yomiuri, and was a part of the team that won the 2012 Japan Series. Gonzalez played alongside Yoshinobu Takahashi during his time in Japan. When he returned this week, the two met as fellow managers, with Takahashi currently in his first year in the dugout for Yomiuri. 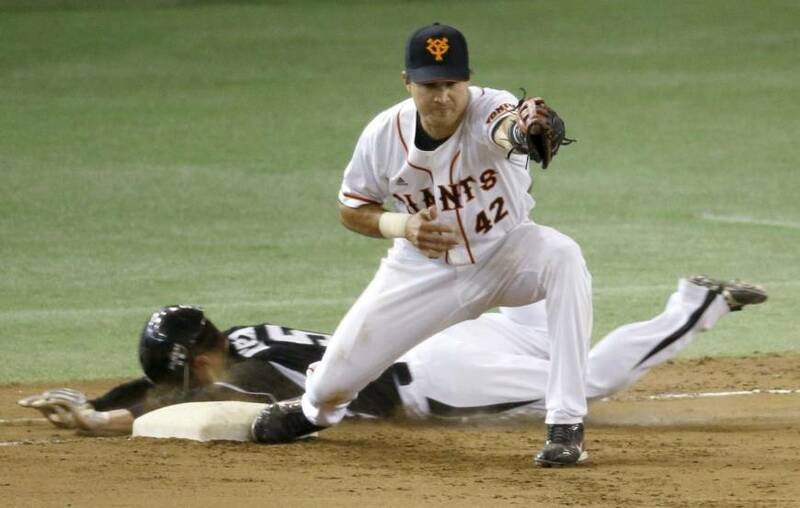 Takahashi has led the Giants to a 17-15-3 start. The team had a poor showing during Golden Week but is still sitting in third place in the CL despite dealing with a rash of injuries, especially to its pitching staff.